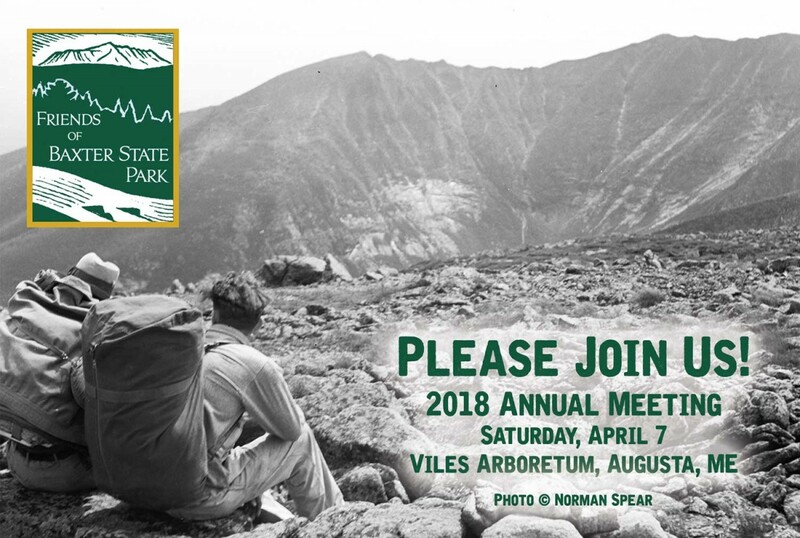 Please join us this Saturday, April 7 for a great spring tradition - the annual meeting of Friends of Baxter State Park. We'll have lots of hot coffee, good company, interesting speakers, and a delicious lunch at noon. All are welcome. The meeting is at the Viles Arboretum in Augusta, this Saturday, April 7. We'll gather for coffee and goodies at 8:30am, and the meeting starts at 9:00am. We'll have updates from the Park, as well as great photography, special announcements about trips for this summer, volunteer programs, and more. Click here to download a complete meeting agenda. Also, we'll have one of our new 3D terrain models of Katahdin on display! Please contact Aaron at director@friendsofbaxter.org with any questions. Hope to see you on Saturday!